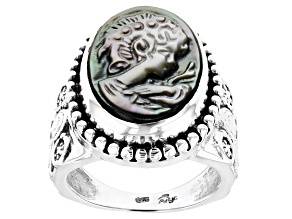 For a modern take on an ancient art, look no further than this collection of cameo rings. From mother of pearl cameos to blue agate, there's a style of cameo for everyone - and every budget. Throughout history, cameos have been made from a range of materials, including glass, shells, and a range of precious and semiprecious stones. They were carved by hand, painstakingly, and depicted everything from royalty to events to revered flora and fauna. Modern cameos may still be hand carved, but many are machine-made, which allows for greater consistency, detail, and variety. For cameo collectors, antiques may be a favorite. Maybe beloved family portraits depict beautiful cameo necklaces or earrings that used to belong to a grandmother or great aunt. 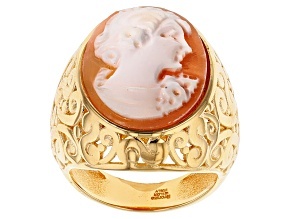 Perhaps the look and feel of a carved cameo evokes strong memories of playing dress-up with Mom's cameo brooch. Maybe Victorian-era style has always been a favorite. 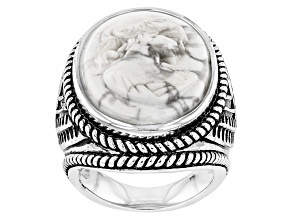 Whatever the reason for a connection to cameo, no ring collection is complete without an example of the carved beauty. Cameo rings are a non-traditional approach to the technique, making them perfect for a modern application and an updated style. Fans of classic aesthetics with modern twists will love cameo rings, but may also find some modern opal rings to be to their liking. Or perhaps an Art Deco-inspired onyx ring is ideal for stepping up your jewelry game and stepping out in style. Building a cameo-rich jewelry collection is also an option: consider adding a pendant and bracelet to that cameo ring acquisition.